Enjoy a gallery night event designed especially for women at Bloom! We will be featuring three local fashion designers including Meagan Ragusa of Mami Girl Clothing and Embroidery, Kim Hutsal of Two Foxes Millinery, and Sabine O’Dell of Sew Modern Studio. Patrons will be able to experience and purchase their latest collections as well as get custom fittings and place special orders. In addition, Ashley Lesh from Rasa Spa will be offering beauty and makeup consultations to pull together your Fall/Winter look. 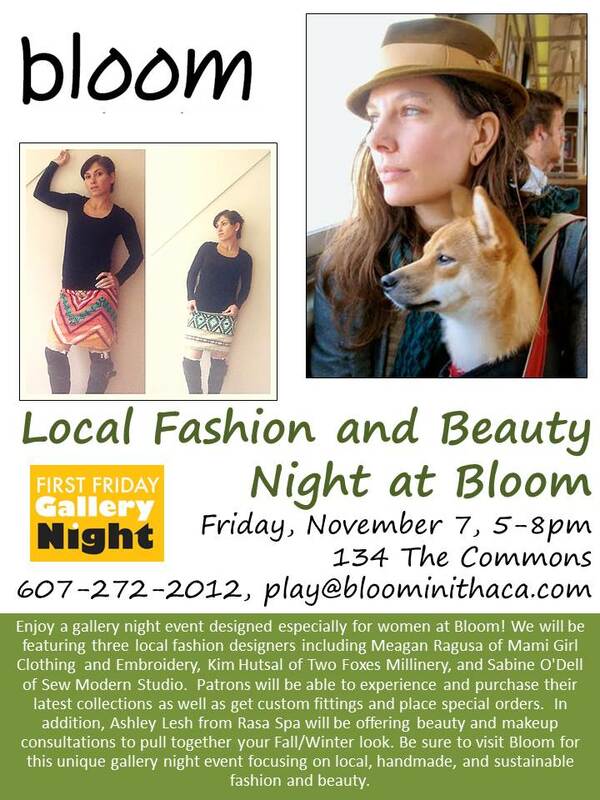 Be sure to visit Bloom for this unique gallery night event focusing on local, handmade, and sustainable fashion and beauty. The event is Friday, November 7 from 5-8 pm. It will be held at Bloom, 134 The Commons, and the event is free! We’re excited to announce our new hours for fall! While we will be open 4 days a week instead of 6, those 4 days will be full of fun events for the entire family! Be sure to check out our calendar of play place activities and browse our online store! 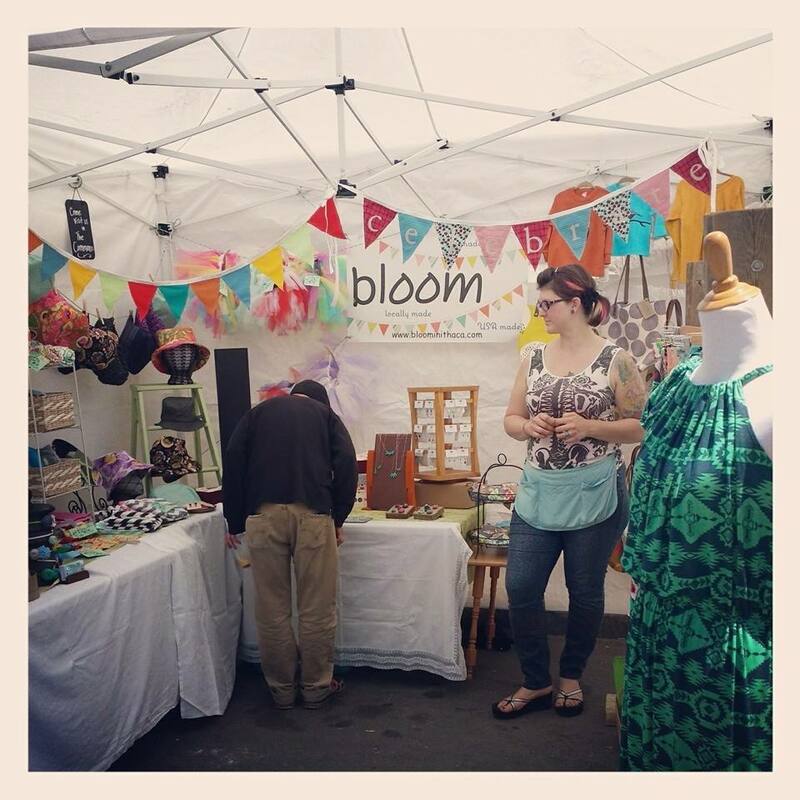 On June 8th let’s come together to shop and play at Bloom (134 E. State St. on the Commons) and help make their business a success! Fabulous Women’s and kid’s clothes and toys – and don’t forget the super fun indoor play space! Organic, sustainable, US-made with a focus on local and just down right chic! Check out their story below to see why they are so special to us all and what they bring to the community. How it works: You bring $20 to spend. We bring music, food, fun & happiness! We look forward to seeing you all on Sunday, June 8th from 2-5pm! Bloom is the store for the conscientious consumer. Two local hip mamas opened Bloom in 2012 to meet a growing demand for a place where kids could play and women could gather and co-parent. They have joined their love for all things kid healthy with a love of kid’s and women’s fashion. Bloom has become a place where women can pamper themselves while their kids run off extra energy. Dads love the playful and relaxed environment too and can often be found lounging on the resident bean bags. As one of many new businesses on the commons they have struggled with slowed foot traffic. This is a great opportunity for all of us to explore a new fabulous store in town and help it thrive as a pillar business in our community. Since bloom is only a year and a half old, we are always grateful for the opportunity to expand our business in new ways. 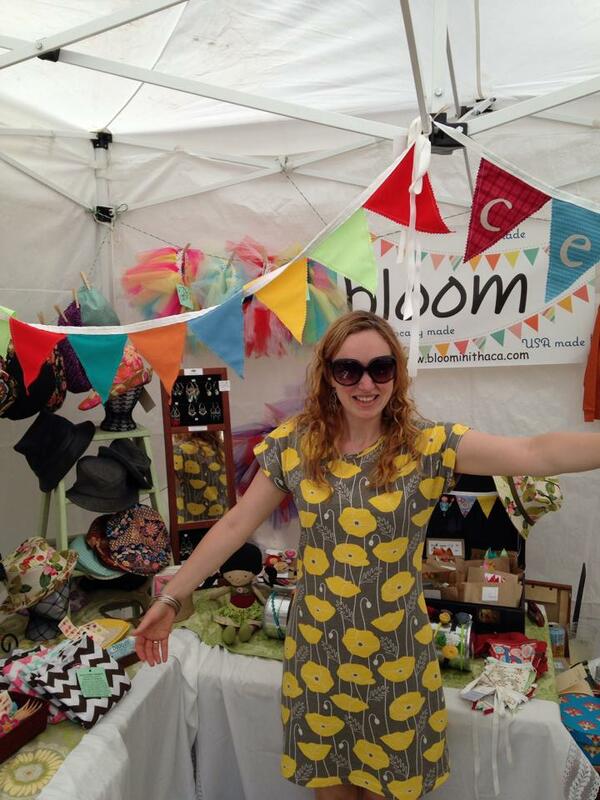 We were so happy to take the leap and have a booth at the Ithaca Festival this year! We can’t thank our artists enough for supplying the booth with beautiful, handmade, local clothes, accessories, gifts, and other amazing goods, and also for helping us staff it. 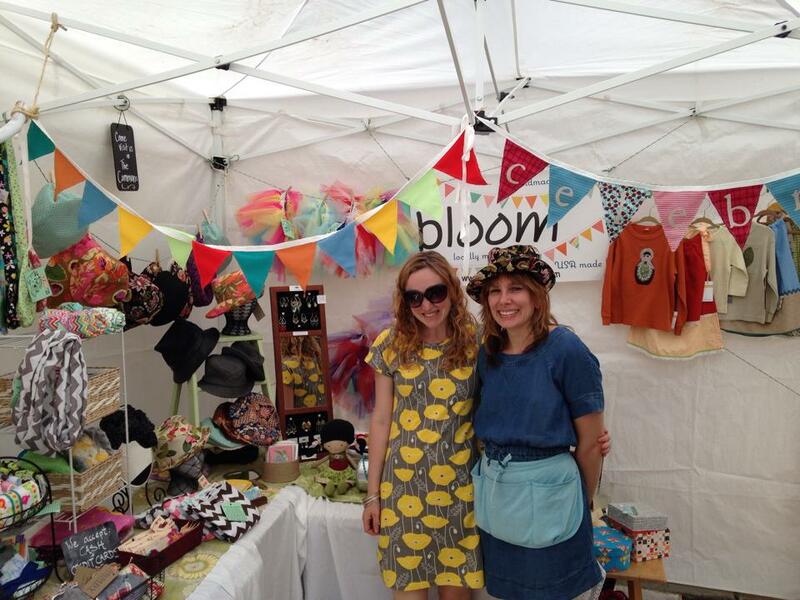 Stay tuned for more festivals coming up…we have the bug and might like to keep the booth rolling! Here’s to hoping everybody had a wonderfully sunny, funny, lovey Ithaca Festival! Draya is so excited about our booth! Artist Kirsten from Minor Atattooed helps our first booth customer! Draya helps Kim of Two Foxes get ready for a busy festival day.